You may have heard about recent news article statement by HHC John Ridsdale saying “he stripped three women of their Hereditary Chiefs names: we the WMC say this: he has no authority, this is just not done as women are valued and critical to the nation. In this day and age of the “Me Too” movement to make such a statement to “strip women ‘ is an embarrassment to our nation and an insult to all Women. Women are to be respected. Government cannot condone or be complicit this type of bullying that the WMC women have endured. 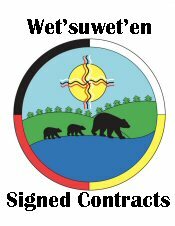 The WMC calls on Minister of Indigenous relations to work with WMC so that we as a Nation may agree on a model for consultation that is inclusive to the unique needs of the Wet’suwet’en nations. WMC wants jobs for the Nation and community at large. WMC wants to get Natural Gas to China to reduce the pollution to the atmosphere caused by their use of Coal. That our long view. 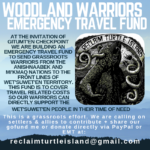 In this way, the WMC is working to improve the lives of Wet’suwet’en members by empowering the 13 Wet’suwet’en Houses to make informed decisions and to exercise their authority over their traditional territories through Wet’suwet’en governance (Inuk nu’at’en). Funding is needed by the federal and provincial government to aid the WMC to assist the Nation in identifying a major projects decision-making model. This entry was posted in Aboriginal Issues, Aboriginal Radicals, Breaking News, Bulkley Valley, Coastal GasLink, LNG and tagged John Ridsdale, Press Release, Wet’suwet’en Matrilineal Coalition. Bookmark the permalink. Theresa, on behalf of aboriginal women like myself, and entering a day where women fear to talk, fear to speak the truth, you have given us all a sign of hope. Thankyou for giving us a voice against all the dirty politics of the past, its brought our nation to its knees. I want to thank Theresa for giving us the courage to speak up, thumbs up to Theresa. I hope the day comes soon that I do not have to worry about repercussions for speaking the truth. Great article Theresa, we’ve been bullied, disrespected, shunned and verbally, physically and emotionally abused. Time to stand up, take our rightful place within our Nations, Clans and House Group. Great Theresa! Keep fighting for the good of your people! Trha k you Theresa- we stand for WMC strong. I am a strong Wet’suwet’en women, a great grandmother and I live on territory most of my life. It was Gloria George that help support and direct my late mother, Irene into the fold aim her rights as a off Rez member. My mom just had high respect for this lady. It’s not right how a small group of rookie chiefs can manipulate and dictate to a nation as we are! As a women I stand for hucticw and righteous and I am willing to support you ladies totally. Much thanks!